Open space with one line to define the &apos;River&apos; and the &apos;Bank.&apos; Coach at A. 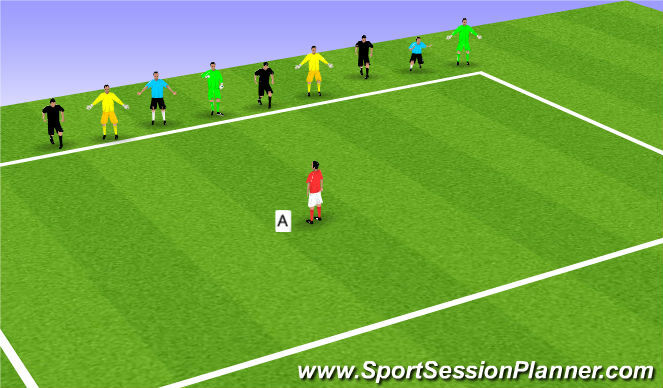 All players start by standing on the &apos;Bank&apos;/line facing the coach. When the coach calls out ‘In the River’ all players must jump over the line. When the coach calls out ‘On the Bank’ all the players jump away from the coach back over the line onto the Bank. 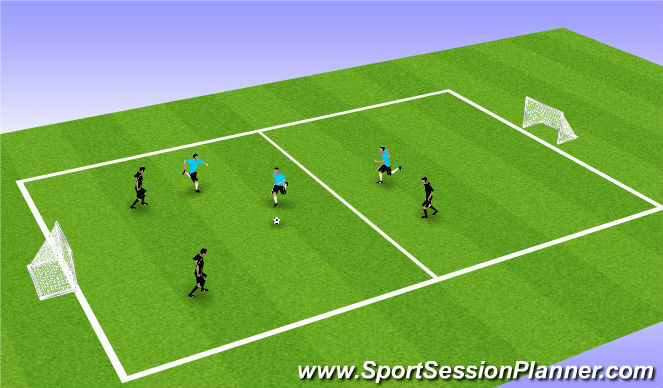 The coach attempts to catch out the players by quick commands that sometimes repeat – ‘In the River, on the Bank, in the River,in the River!’ If a player jumps in the wrong direction, they join the coach. The coach plays for a set time to see how many players they can catch out! P/R - Increase/decrease speed of instructions. 40&apos; yards x 20 yards. 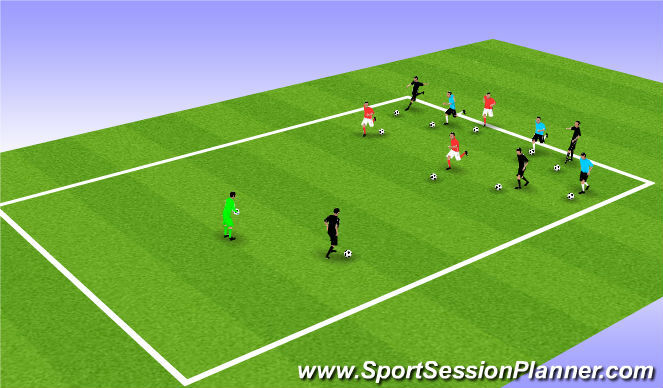 Split players into two groups - &apos;sharks&apos; and &apos;minnows.&apos; Minnows go to one end of &apos;ocean&apos;/zone, sharks &apos;swim&apos; in middle. Ratio of sharks to minnows dependant on number of available players. but should not exceed 10 to 1. When sharks shout out "Shark Bait!" the minnows have to run/swim to other end of zone with ball. If they are tagged/eaten by a shark they become a shark. Play until last person/minnow remains - they are King/Queen Minnow! Sharks are not allowed in &apos;shallow end&apos; of ocean - near to end of zone. If a minnow swims/runs out of the ocean/zone they become a shark.